Players join the 9 shape-boards together to form a 3 x 3 game board. Players select the colour of their tangram sets. Player rolls a shape dice and selects a shape on the game board similar to the shape rolled. Player places his tangram pieces on the game board to form the selected shape. 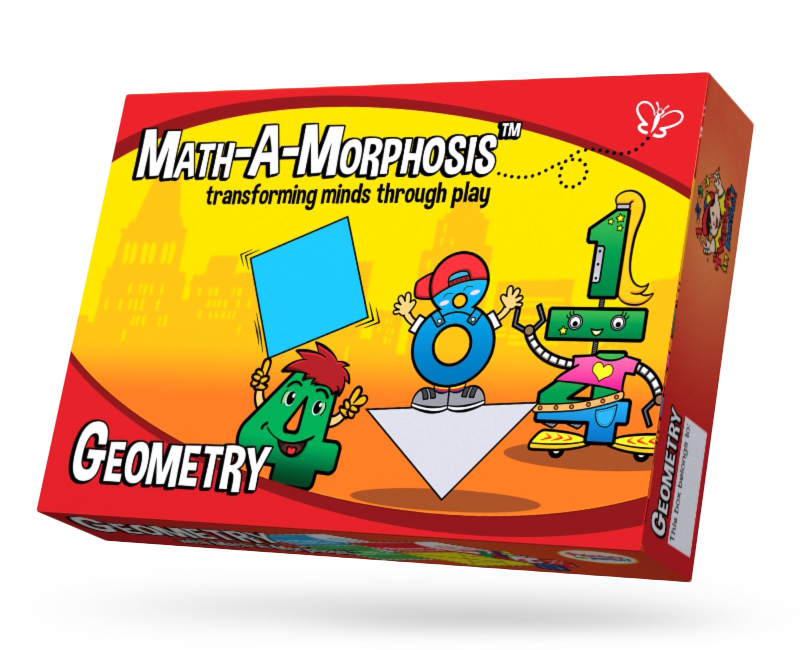 Tangram pieces used cannot be removed from the board during the game. 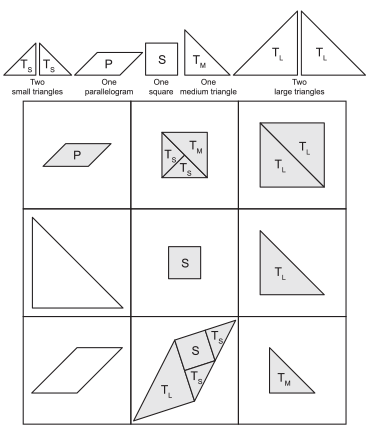 If a player is unable to form the selected shape with his tangram pieces, he forfeits a turn. Players take turns to play, repeating steps 3 and 4. The game ends when there is a winner or when both players are unable to use their remaining tangram pieces. (i) The first player to form 3 shapes in a row, column or diagonal. (ii) The first player to use all his 7 tangram pieces. (iii) The player with fewer tangram pieces at the end of the game. There are many ways to form the shapes in this game.